Hotel Quality Linens, Complimentary WiFi, Spa Quality Towels, Exquisite Bath Soaps and Shampoos from William Roam…These are just a few of the amenities included with every vacation rental from Escape to Blue Ridge Vacations. From the best dining accommodations to an afternoon of fun with a true local fishing guide, our team is here to help you plan the perfect Blue Ridge, Georgia vacation. Are you seeking a professional North Georgia cabin rental company? Our mission is to be the most admired vacation rental company in North Georgia. Let us earn your trust through integrity, professionalism, and hard work, caring for your home as if it was our own. Escape to Blue Ridge provides year-round, 24/7 property management of North Georgia vacation homes. Our comprehensive management program provides all aspects of vacation rental management including sophisticated marketing, reservations management, and cleaning and maintenance. With the highest rental revenues in the area, we provide sound management of second home investments. Located just 90 minutes north of Atlanta, Blue Ridge, GA is within a day’s drive of five Southeastern states. The Blue Ridge countryside is richly blessed: 106,000 acres of national forest, more than 100 miles of rivers and streams and Lake Blue Ridge, a 3,290-acre crystal clear freshwater playground. Blue Ridge, Georgia offers something for everyone, from outdoor adventures and family-friendly fun to shopping, fine dining and simple relaxation. 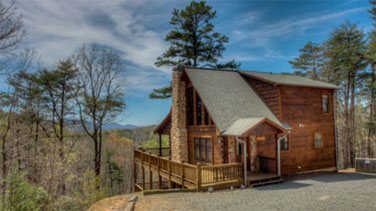 "Have rented cabins every Fall through Escape to Blue Ridge for over 10 years and we are never disappointed!"